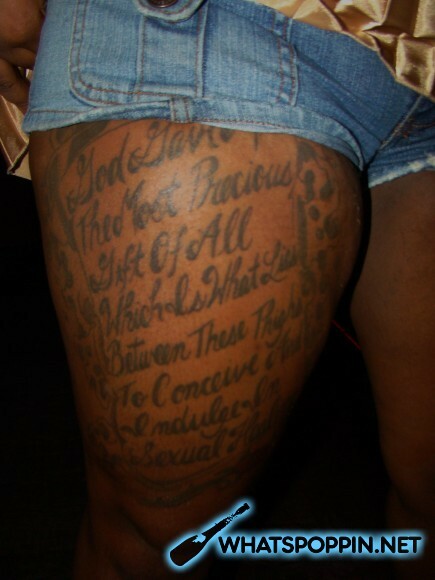 It says and I quote: God Gave [something or nother] The Most Precious Gift Of All Which Is What Lies Between These Thighs To Conceive [something or nother] Indulge [more nonsense].. the end. It probably took her an entire year to come up with that. Girl, you so poetic. I can’t breathe. #1. You a man #2. Your tats are dumb ‘specially the F & J on ya chest #3. You got FEVER written on your shoulder because? #4. that tat on ya leg shows the dyke in you. I’m sorry but I can’t. As much as I wanna talk about her outfit [or lack thereof] I will remain true to this post. She looks rather dumb (read: trashy, no class) with them paw prints scattered on her pancake tiddays. I blame pitbull in a skirt E.V.E. for this tragedy. *sigh* I will once again skip over the trainwreck of an outfit and go straight for the tats. Shouldn’t they tell a story if they all bunched up together? And I hate to see women with them jailhouse looking shyts on their arms. Speaking of the epitome of a tatted disaster. Poor Jackie O tries to remain relevant in the rap game but fails miserably. I can’t even remember what song she even sang/rapped/whateva. 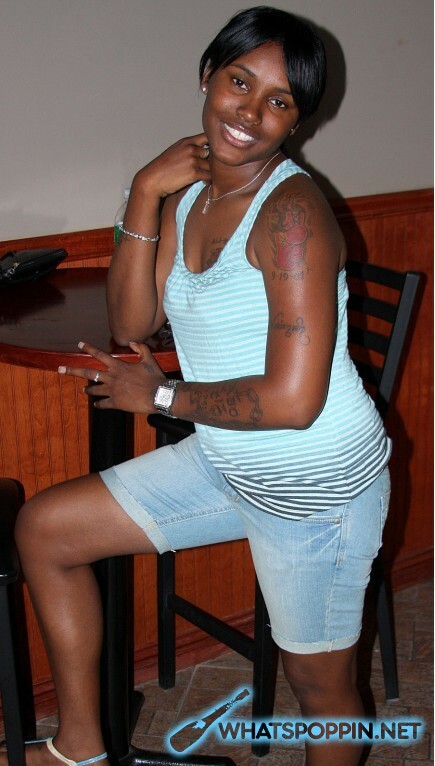 *sigh* The tats, the fake contacts, the penciled on eyebrows…. I cry [and I bet she does too].